Aside from a strong seasonal playoff campaign and representing the Western Conference in the 2014 NBA All-Star Game, Kevin Durant had one of his busier years off the court. 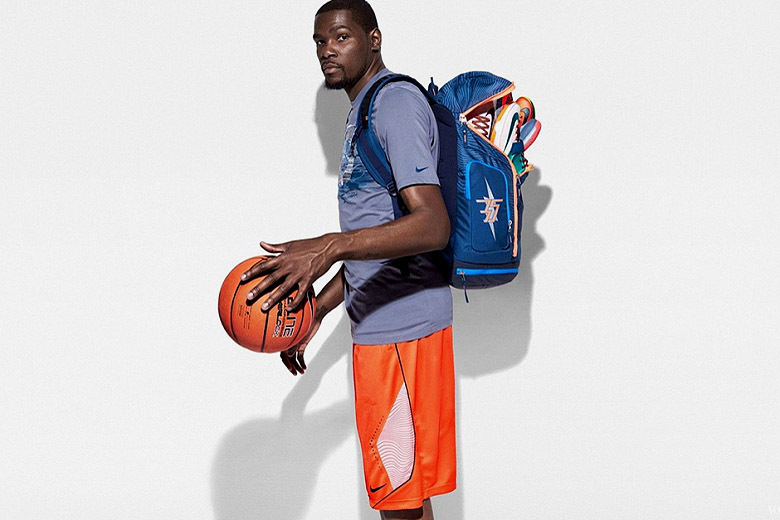 He followed up one of the most versatile basketball shoes ever designed – the Nike KD VI – with an equitably fashionable seventh signature silhouette. Durant’s relationship with Nike was the stuff of speculation over the summer, when American sportswear giant Under Armour offered the player an enticing $285 million USD offer – yet Durant ultimately decided to remain with his current endorser. The deal only seemed to strengthen his bond with Nike, and Durant’s loyalties were rewarded with a dapper casual silhouette via Nike Sportswear. Now having recently returned to the court after fracturing his foot earlier this season, Kevin Durant focuses on creating his legacy on the court for 2015.